Shillong Lajong romped to their second straight win of the season, having beaten Mumbai FC 3-1 in the fifth Hero I-league round match at the JLN stadium in Shillong on Saturday. Lajong rode on a Dipanda Dicka brace to virtually take the match away from the visitors, who slumped to their third defeat on the trot, in the first half itself. Dicka got the hosts the breakthrough in the 28th minute and followed it up with another shot at the back of the net three minutes before the 45-minute mark. Chinglensana added a third in the 70th minute to seal the tie for the hosts. For Mumbai Karan Sawhney scored the lone goal in the 56th minute. Mumbai FC started the proceedings on a positive note creating several chances in the early moments with the Reds left doing the defending job for the most part of the first 25 minutes, but things made a paradigm shift thereafter. A counter attack by Lajong in the 25th minute saw Samuel Shadap’s chip shot being somehow tipped over by Laxmikant Kattimani. Just when Santosh Kashyap’s boys looked like getting back into the tie with a couple of decent raids on the opposition half, Dicka killed the first half contest with his second strike in the 42nd minute. Following a Mumbai defensive lapse, Dicka was left alone on the left and went past the advancing goalie to convert with ease. 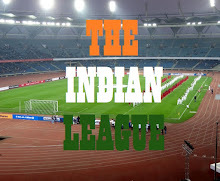 The Mumbaikars had their hearts in their mouth when Issac hit the top of the crossbar in stoppage time. Fortunately for them, the two sides went into the break with the score 2-0 in favour of the Reds. Crossing over, despite the initial pressure exerted by the Reds Mumbai chipped in a goal almost against the run of play with super-sub Karan Sawhney converting one from close range. 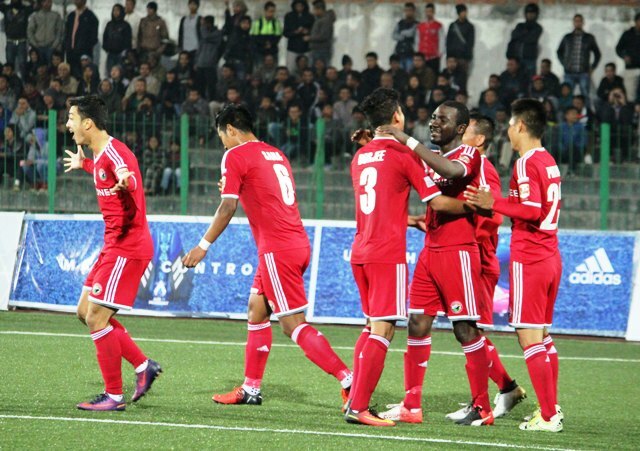 Hopes of a strong Mumbai comeback was however shattered in the 70th minute when Chinglensana netted the third goal for Lajong. Sana spun over to put the ball into the back of the nets following a corner kick much to the delight of the 5000-strong crowd. Things became worse for the visitors when their custodian Laxmikant Kattimani was shown the Red card for handling the ball outside the box. 10-man Mumbai could hardly muster any trick further to stage a comeback as the Reds happily grabbed full three points from their second win in as many games. Following the victory, Lajong catapulted to the fifth spot while Mumbai dip to the sixth spot and have a lot of catching up to do. Thanks to the brace, Dipanda Dicka was declared the Hero of the Match.